While listening is critical to academic success, it is the communication activity that receives the least amount of instruction in class, according to the International Listening Association. To help bolster this skill, a division of School Specialty has partnered with Listenwise, a listening skills company that harnesses the power of listening to advance literacy for all students including English language learners (ELL). The EPS Instruction and Intervention division of School Speciality for 60-plus years has been developing and publishing programs to assist struggling students with dyslexia and other reading difficulties build proficiency in reading and math. It will add Listenwise to its portfolio of classroom literacy and intervention resources. Listenwise offers curriculum-aligned listening content, learning tools and listening comprehension exercises that are designed to strengthen students overall comprehension. The automatically scored formative assessments, for example, test listening skills and determine areas for improvements. Content includes high-quality storytelling from NPR (National Public Radio), with more than 1,000 real-word stories in its curated library. 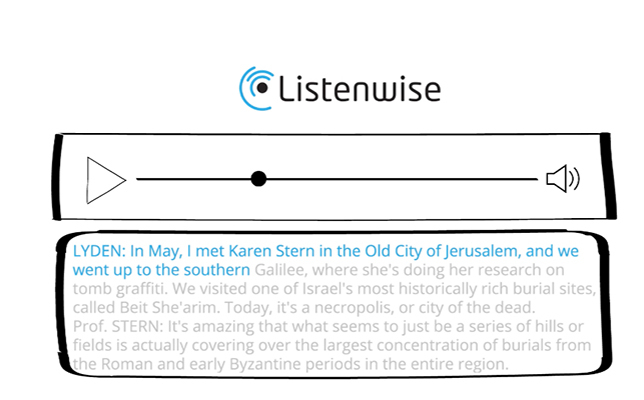 To help all students improve their literacy skills, Listenwise offers robust literacy supports for ELL students, like interactive transcripts, tiered vocabulary and even reduced speed audio for listening activities as well. Listenwise was 2016 SIIA CODiE Award finalist. To learn more, watch the video below.